Tyler is the Chair of our firm's Long Term Care/Nursing Homes Practice and regularly defends physicians, nurses, and long term care facilities in professional liability and institutional negligence claims involving significant injuries and death. Tyler also concentrates his practice in the area of professional liability where he defends physicians throughout Illinois in a broad variety of cases, including obstetrics, internal medicine, neurology, cardiology, pediatrics, radiology, emergency medicine, gastroenterology, ophthalmology, surgery, and family medicine. Tyler has represented clients in all aspects of complex litigation, including jury trials and mediations. Tyler is also the Chair of our firm’s Qui Tam (Whistleblower) Practice. In that role, Tyler’s practice is focused on defending healthcare providers against qui tam lawsuits filed pursuant to the False Claims Act and similar state false claims laws. 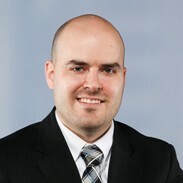 His experience includes working extensively with the U.S. Department of Justice on qui tam litigation involving pharmaceutical and medical device companies, long term care providers, and a wide variety of government contractors and federal program participants, specifically regarding federal and state drug pricing methodologies and reporting requirements. Since joining Heyl Royster, Tyler has consulted and represented a diverse group of healthcare professionals and entities during all phases of qui tam litigation. Tyler also regularly advises hospitals, physician practices, long-term care facilities, and other healthcare organizations regarding complex statutory and regulatory matters, including the Stark Law and the Anti-Kickback Statute. With his unique background in working with federal and state governmental agencies, including CMS, DOJ, and OIG, Tyler has developed a special focus in advising hospitals and other healthcare organizations regarding Medicare and Medicaid compliance, overpayment and reporting issues. From advising healthcare providers that have identified Medicare and/or Medicaid billing issues to developing and drafting CMS and OIG self-disclosures and negotiating resolutions, Tyler has extensive experience representing healthcare clients during all phases of the overpayment and reporting process. Tyler received his law degree from Southern Illinois University School of Law in 2010, where he was a member of the Journal of Legal Medicine. He is a member of the Symposium Committee in the Illinois Association of Healthcare Attorneys, Health Care Compliance Association, and a member of the Management & Professional Liability Community and committee member of the Medical/Healthcare (Medical Malpractice) group in the Claims and Litigation Management Alliance. Named to the Illinois Super Lawyers Rising Stars list (2017-2019). The Super Lawyers Rising Stars selection process is based on peer recognition and professional achievement. Only 2.5 percent of Illinois lawyers under the age of 40 or who have been practicing 10 years or less earn this designation.